Keeping it simple and keeping it fresh folks, that’s what I do! I recently had someone tell me that because they don’t know how to layer, they don’t know how to be stylish. Well guess what, fashion isn’t about layering, or learning how to match the perfect color of pattern in your skirt to your shoes. It’s all about finding what’s suiting to your personality, style and fit. It’s that simple. If you follow those three things then you’re golden. Now let’s cut to the chase. I’ve kept things uber simple and chic for this week’s post – all about summer date looks. 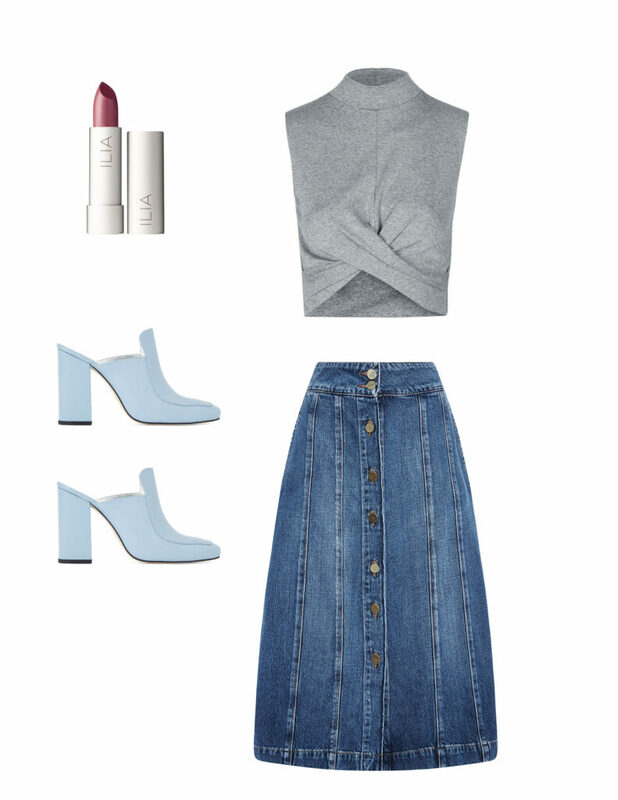 Keeping it to the bare minimum of pairing a top, skirt and shoes, then topped off with a mauve lip. You can accessorize all you want, or keep things effortless and natural, or if you’re looking for an awesome idea of hair, then look no further than http://www.cutegirlshairstyles.com/category/hairstyles/ to find the perfect do to compliment your style. Keeping things stylish and real. Over and out.